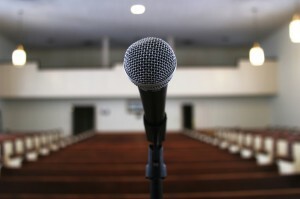 Performance anxiety, also known as “stage fright” affects millions of people, even those who don’t see themselves as “performers.” Anyone who has experienced the physical and emotional symptoms of a panic attack or anxiety attack knows how debilitating they can be both personally and professionally. The shortness of breath, sweat, clammy hands and nervous twitching, are also symptoms of performance anxiety and can occur prior to a business meeting, cold call, or actual theatrical performance. Vocal Awareness recognizes that every communication is in fact a performance, because someone is watching. But rather then teaching you how to “present” what you think others want, Vocal Awareness will help you to simply be your authentic Self and by your own unconditional acceptance of your true nature, any anxiety you may have felt in the past will dissipate. Claim Your Power: Release yourself from fears, and discover your authentic Self by shifting life-long habits and unconscious behaviors. Develop your Persona: Recognize that you have a choice in terms of how you are perceived. Design your personal Persona Statement in order to reveal your Self to the world. Develop Mastery and Conscious Awareness: Make paying attention to the details and subtleties a goal of your practice and performance. Confidence comes in part from the self-assurance that you are meticulously prepared. Be in Stature: Stature is not simply good posture; rather it is a Conscious Choice to reflect the very essence of our being through our physical presence. Use the recognition that you are extraordinary to claim your greatness and let go of chronic fear.